Have you ever wondered why improving at golf is so difficult? I did, and decided to do something about it. So much of golf instruction is based on ideas and opinion. There isn’t a lot of fact. Thanks to scientific research and testing I now have a solid understanding of the real fundamentals of the game. 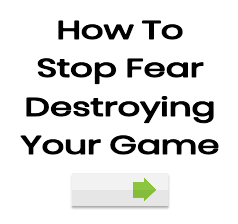 This has helped me improve my game in leaps and bounds and can help you too. The video below takes you on a brief tour of the history of golf instruction. It shows you some of the many ideas and theories that golfers have been taught and explains why improvement has been so difficult. The video gives you an insight into a path for a better golf swing – and shows you a more reliable method for improving at golf. Please note: The video was shot in 2007. Some of the links may be wrong. For all contact details please go here. For more information on BioSwing, you can visit this link.